The Drew and Jonathan Scott fanlisting is now open. The fanlisting is for the twin brothers Drew and Jonathan Scott. Please feel free to join the fanlisting. Just bought my general admission tickets for my mom and I to see O-Town perform at the Pop 2000 show at Joe's Live on July 13 in Rosemont, IL. I am so excited. I am going to do the after show selfies so that I get to meet the guys. I can't wait to see Erik-Michael Estrada again. Erik's 40th birthday is in September so I bought a Star Wars travel mug and Star Wars birthday card for Erik for his birthday that I will give to him when I see him during the after show selfies. This show will have performances by O-Town, Ryan Cabrera, Aaron Carter and Tyler Hilton. Will be my sixth time seeing O-Town perform, fourth time seeing Ryan perform and my second time seeing Aaron and Tyler perform. This will be my mom's fourth time seeing O-Town perform, third time seeing Ryan perform and first time seeing Aaron and Tyler perform. 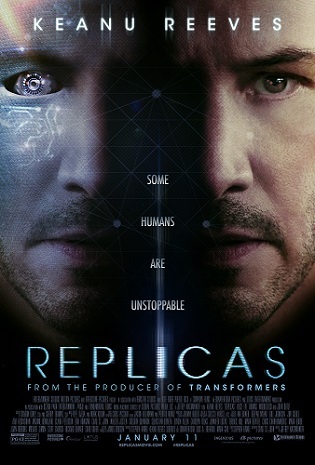 Keanu Reeves plays Will Foster in the movie Replicas. Replicas came out in the movies in the U.S. on Friday, January 11, 2018. Go watch the movie if you haven't seen it yet. I will definitely be watching it. This is the movie poster. It was emailed to me to post here by Nuno Andrade. He works for Global Pictures Media and is helping promote the movie. Just bought my pit ticket to see O-Town perform at the Pop 2000 show during Last Fling on August 31 in Naperville, IL. I am so excited. They will only be 10 minutes from me. I am going to do the after show selfies so that I get to meet the guys. I can't wait to see Erik-Michael Estrada again. I bought a Yankees Lokai bracelet for Erik for his birthday that I will give to him when I see him during the after show selfies. This show will have performances by O-Town, Ryan Cabrera, Aaron Carter and Tyler Hilton. Will be my fifth time seeing O-Town perform, third time seeing Ryan perform and my first time seeing Aaron and Tyler perform. I adopted the Mickey Mouse fanlisting and it is now open. The fanlisting is for the Disney character, Mickey Mouse. Please feel free to join the fanlisting.